So far we have Elizabeth identified as the author of four books, three of them directly within her professional interest in the history of folk songs, and one (with her sister-in-law Margaret) on Pillow Lace. Souterliedekens is a serious work of scholarship, in Dutch, on a sixteenth century collection of religious and folk songs. It is a substantial work, 296 pages, with words and music of the songs, commentary and references. The dedication is sad - To my son Andon Mincoff, born Sofia Oct. 27 1906, died the Hague, Feb. 26 1919. Perhaps he was a victim of the ‘flu pandemic? It was published in 1922 and was reissued with a new title in 1945 - “Zestiende-eeuwsche Dietsche Volksliedjes. De oorspronkelijke teksten met de in de Souterliedekens van 1540 bewaarde melodiën”. 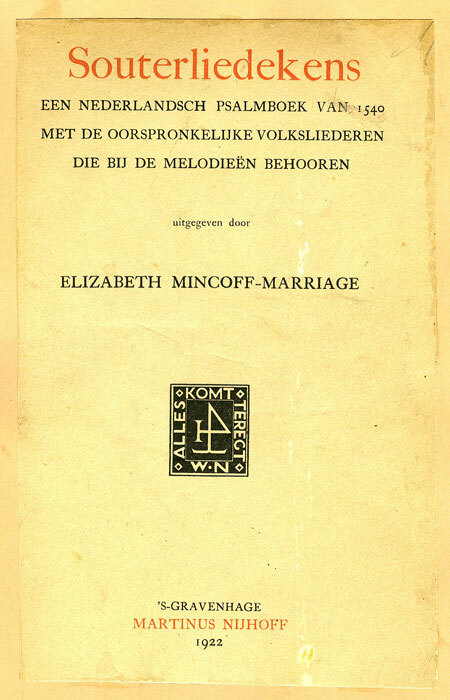 By MINCOFF-MARRIAGE, ELIZABETH 's-Grav., Nijhoff, 1939. 4to. Omslag. xxxiv, pp. 298. 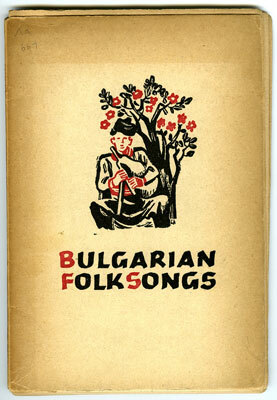 Much later, after she had been out of the field as an academic for a long while, she produced “Bulgarian Folk Songs” on behalf of the Bulgarian Ministry of Propaganda. This 88-page book contains only the lyrics of the songs, selected and translated into English by Elizabeth. Of course by this time she had long been living in Bulgaria, moving in government circles.